West Highland Way Race – it’s here! Well, can’t believe it. The #WHWrace is actually here! 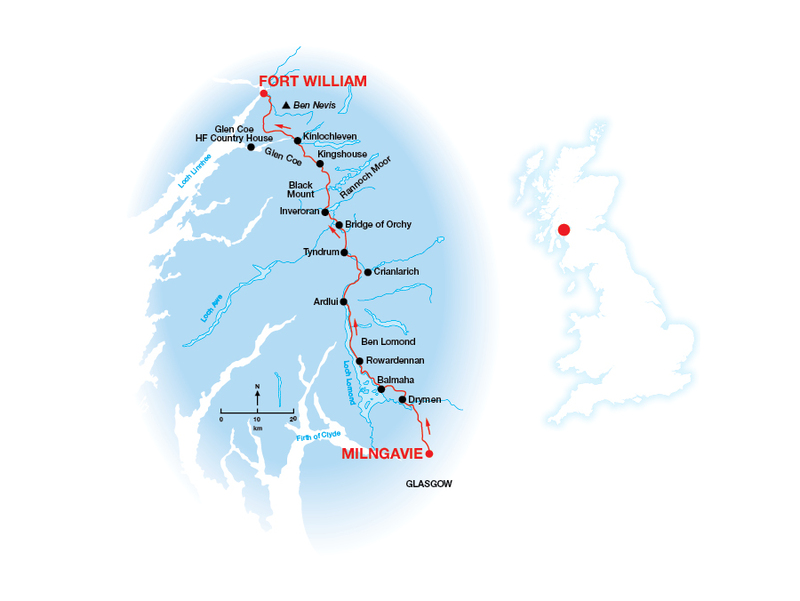 In about 11hours, 160 or so runners will leave Milngavie in the hope of conquering Scotland’s famous trail all the way to Fort William. It’s looking like it’s going to be a wet race. It hasn’t really stopped all day, so another clothes change might be required! I guess that’s the beauty of a challenge like this – you could know the course like the back of your hand, have trained impeccably, prepared 15 food options but ultimately there’s a huge “Unknown” on the trail for most people……a stomach that gives up holding food, a trip and fall, blistering, a tendon snap….the “Unknown” can strike at any time – and that’s part of the buzz. Getting through it. Despite being a very late entrant I’ve been keen to get going for the last few days. Yes, I would have changed my training, yes I could be better prepared but I’m feeling good and (so far) am glad to be part of it. Good luck to all the runners and support teams – it’s such a commitment from everyone and I hope you find what you’re looking for from it. My sister will be doing twitter updates as usual (@lilacswizzle). Heck, she might even pass on some messages if you keep them clean! My sister is heading up my support crew with my folks so if you see them have a chat – they like to talk! This entry was posted on June 17, 2011 by pyllon. It was filed under 2011, Conic Hill, Endurance, Offroad, Race, Results, Running, Support, Trail, Ultra distance, ultramarathon, West Highland Way, WHW and was tagged with endurance, offroad, race, running, SUMS, trail, ultra, ultramarathon, WHW.